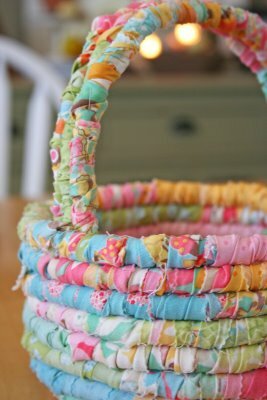 This cute basket is all about spring and would be so cute for an egg hunt or just for display! 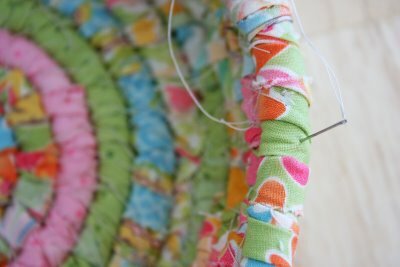 *and I used “Mettler” cotton silk finished thread (it’s sturdy) if you don’t that have just use quilting thread or sturdy thread. when you unravel your honey bun separate colors. start by sewing together 4 strips alternating colors randomly (I cut mine in half ,at the fold, because I wanted a more scrappy look but you can keep your strips full length). 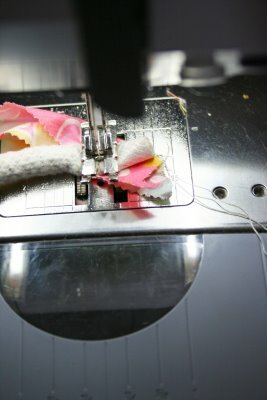 once you have 4 strips together fold in half and sew onto your thick piping. 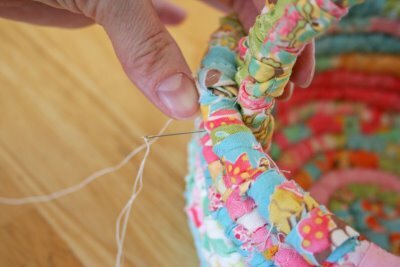 i then started to ravel around my piping with the fabric. 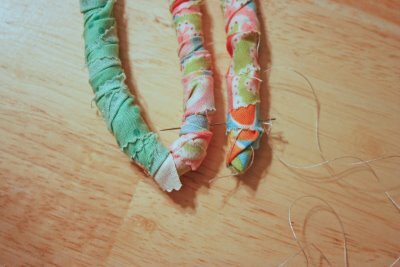 keep going through the full 6 yards of piping that comes in the package. 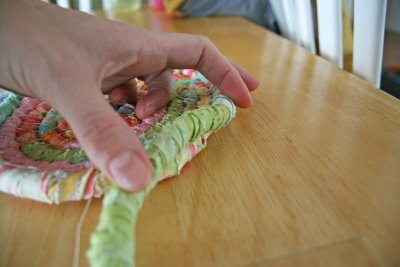 when you get to your end of the piping, sew just like you did when you started through the piping and the fabric. 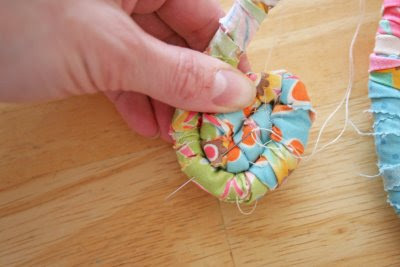 this will not let the fabric unravel. when you get to the 7th row out you will then start to “stack” your coil. here’s the best angle I could get of the stacked coil with the needle going in on the top and out of the “stacked on top of” coil do this for the whole basket till you get close to the end. 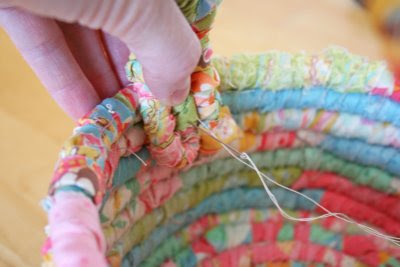 where your “stacking” started (on the bottom),you will want to end your basket top. 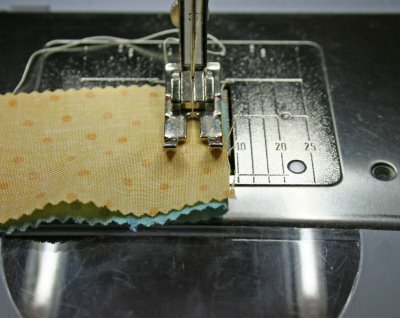 this way it won’t be lopsided (counting from the bottom up i have 8 rows all around).make sure you sew right before you are going to cut on the piping so the fabric wont unravel. cut off extra (should be a small tail NOT enough to go around one more time). and then tuck in a little so the raw end doesn’t show from the top. you now have the base of your basket. just how you started your basket you are going to start your handle. I used the smaller piping for this and i cut it to 39 inches. 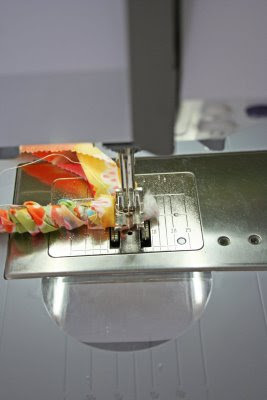 fold fabric in half length wise and sew your fabric onto your piping at the end of the piping. 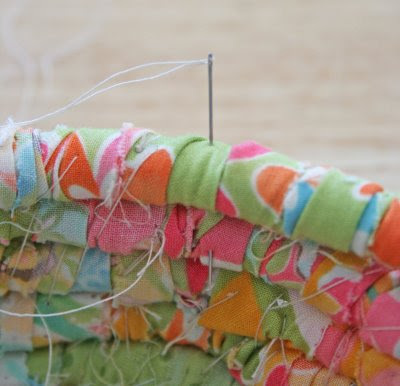 when done raveling, sew the end so it doesn’t unravel. 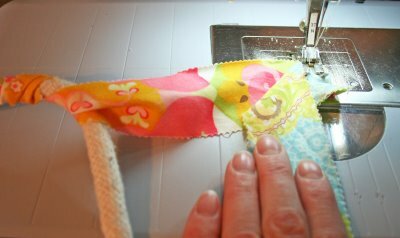 fold your 39 inches of piping three even ways like so. and back through the outside. 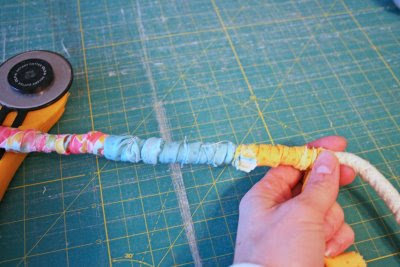 do this quite a few times to make the handle super sturdy. do the same to the other side of the handle. This entry was posted in Baby and Kids, Bags and Totes, Home Decor, Honey Bun, Moderate and tagged Chez Moi, Swanky, V and Co..
Looks great! I love the color, so springy! That is seriously the cutest basket ever!! :)r.Great Job V!!!! Cute, cute! I can see this for storage/toy hauling all around my house all year round! 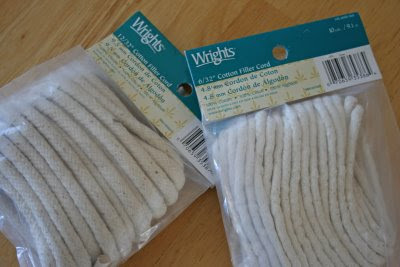 Hmmm.. Now to get my hands on cording. Vanessa and Moda…there is no better combination!!! Fabulous tutorial V! you are freakin amazing vanessa! when do you have time for this stuff? Love the colors. 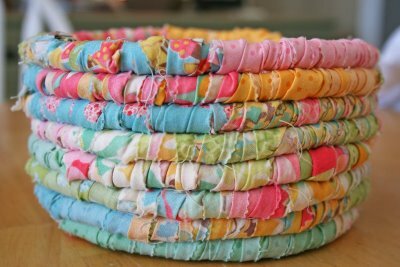 I used to make rag baskets but no machine involved…all wrapped by hand and “sewn” by hand with a very LARGE and thick needle. I have seasonal baskets. I have a tiny Easter basket and some I used the tiniest cord I could find and made Christmas ornaments. My fingers are not a nimble any more. It looks great! You’re getting to be a regular on here! This is so cute. Very clear instructions too. This is just the most beautiful basket! Another awesome project to get started on! Oh that’s adorable! Thanks so much Vanessa! Great tutorial!! 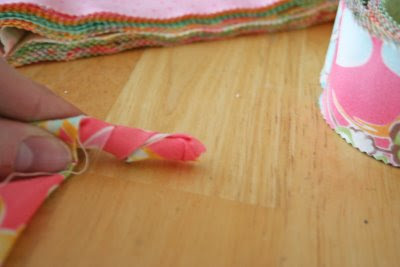 I remember making these with my mom when I was in high school… what great memories! Awesome tutorial as usual V! Super cute!Keep ’em coming! So, so cute — love those adorable, springy colors! 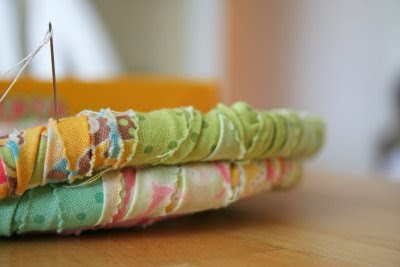 OH what a cute and do-able use for all these beautiful new fabrics. And one doesn’t even have to be a seamstress! Thanks so much. This blog is just the best!! Love the basket! And simple to make. I think I’m gonna have to make one. ADORABLE! I need to make one of these. Thanks! I”m so excited about this basket! Since this will be My daighter first easter (that she isn’t a newborn) I was wondering how/what to do for an easter basket. 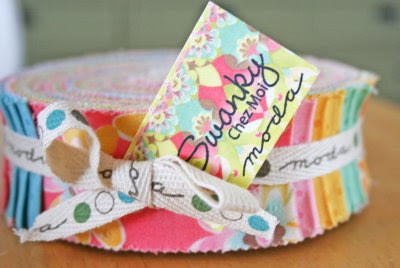 SWEET I”m going to get a moda huney bun right now! What a cute basket! Love it!! adorable v…great job!! love it!!! Another great tutorial! I love your style, V!!! 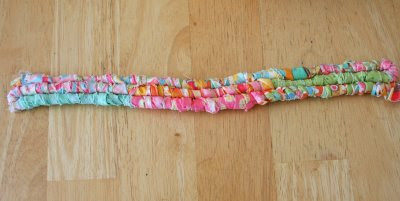 I can’t wait to make a few of these! Awesome. That is a great idea. Maybe I will give it a try for Easter. Oh I DO LOVE IT!!! You choose a great set of fabrics to use and just knocked it out of the ball park on this one!Love, love, love it! SO CUTE!! It almost made me want to put forth the effort to make it. You are so talented Vanessa! Fantastic! 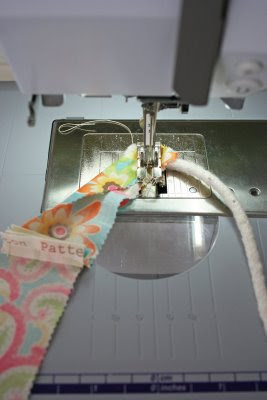 I love it and it’s not that expensive to make…I can see so many other uses for it too! Thanks for the idea. SO SO cute! Ive been trying to find a way to have Easter baskets that match as our family grows and this is a super cute basket that I can personalize to each kiddos personality! Thank you! this is the cutest thing!! I wanted to dry the rug, but will start with this one so I get the technique down. Can’t wait – thanks so much for sharing! I love it!You make it seem so easy. Great design! Absolutely LOVE it! How CUTE! Now I want to make this too!!!! Love the colours so much! Great tutorial. Inspirational! Wow, that is so cute and fun! Thanks for sharing the tute! 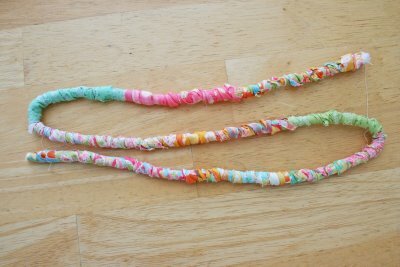 I use to make these and forgot all about them. 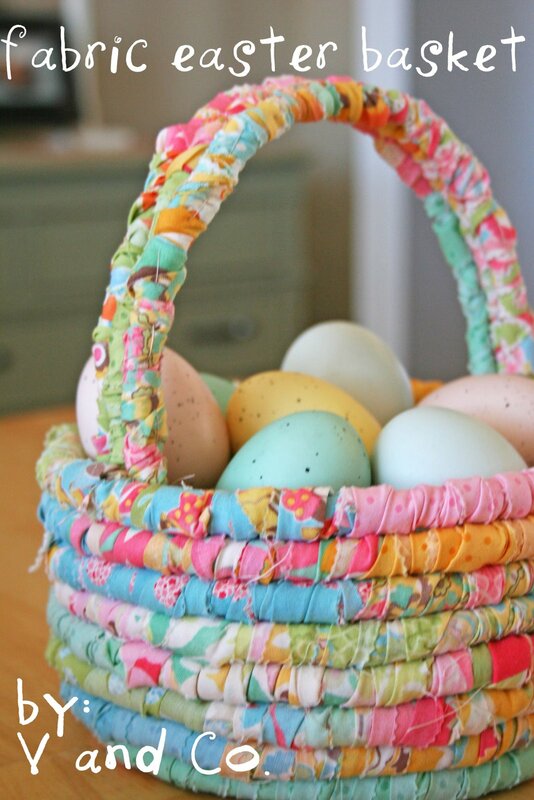 Your basket is beautiful and the colors make me yearn for spring. Thanks for the reminder! That is a very cute basket and I love the colours. 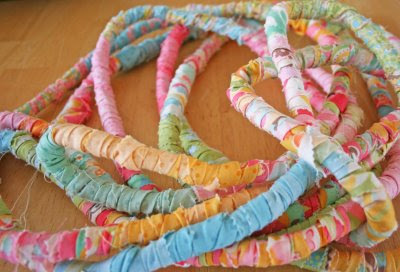 It brought back memories of my school days when we made them with raffia. I love this and am getting around to buying the supplies to do it. I’m hoping you’re still looking at these comments b/c I have a question:Can you give the approximate measurements of the final basket? I was trying to figure out how wide and tall it is so I can decide whether I want to try and make it a bit bigger.Thanks! This has got to be my favorite project so far. 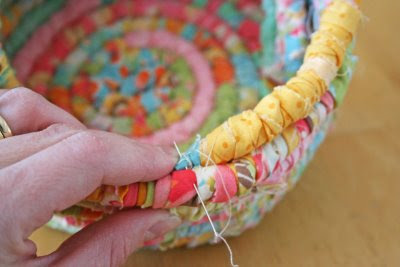 I love the bright happy colors and it will look darling with the fabric Easter eggs I’m going to make to go inside.Thanks for sharing! Seriously the greatest thing I have ever seen!!!!! !You rule! This is absolutely so cute. I love the colors! They shout spring! What great instructions, too. I am so inspired to try! I love the colors. Great job, thanks for the tutorial. This has got to be the cutest basket I’ve seen so far. I hope you don’t mind if I link you so my friends can see it too. Oh, it’s so pretty. Great job! Would you le me know if that’s OK?